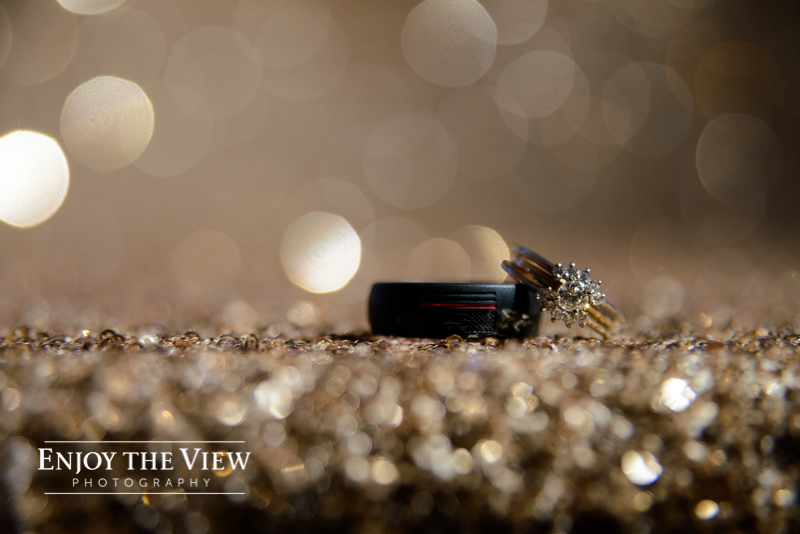 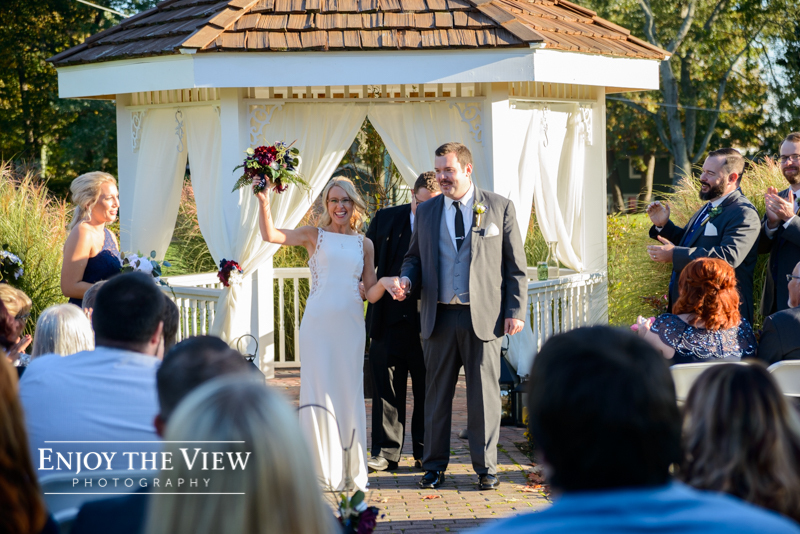 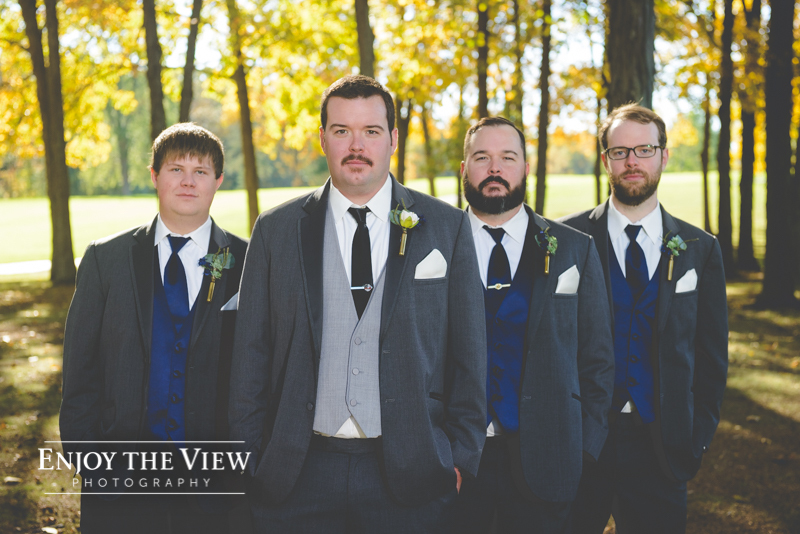 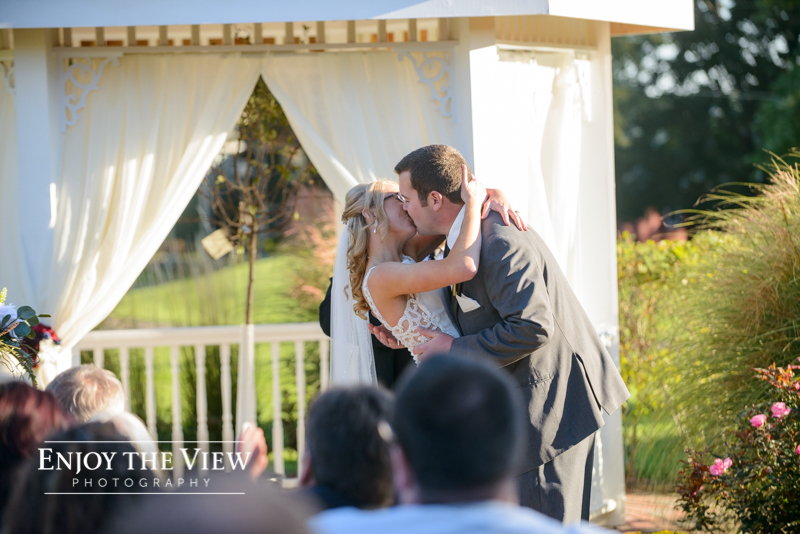 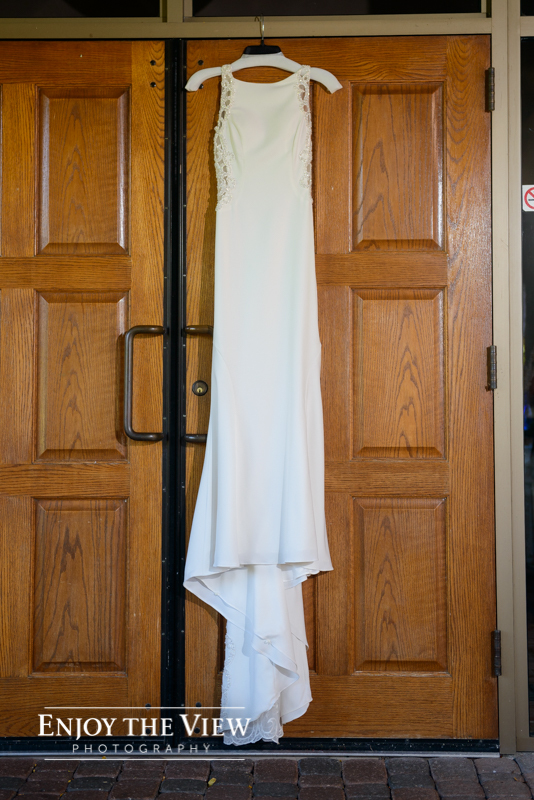 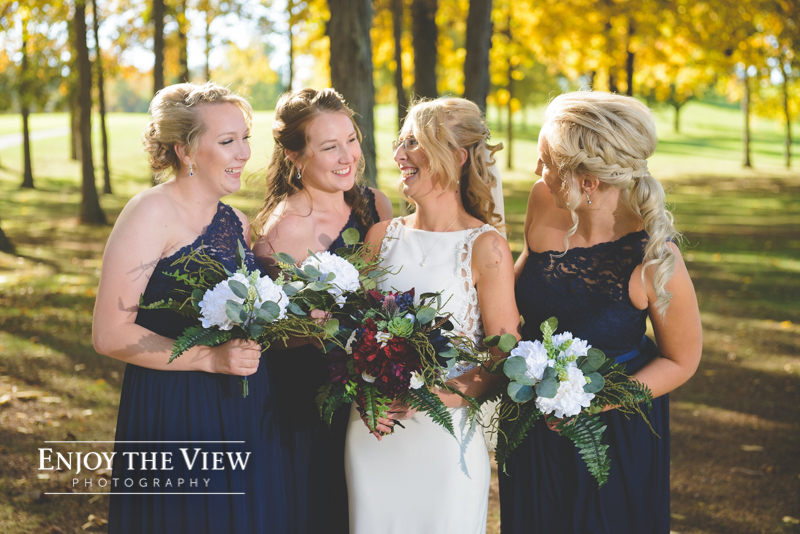 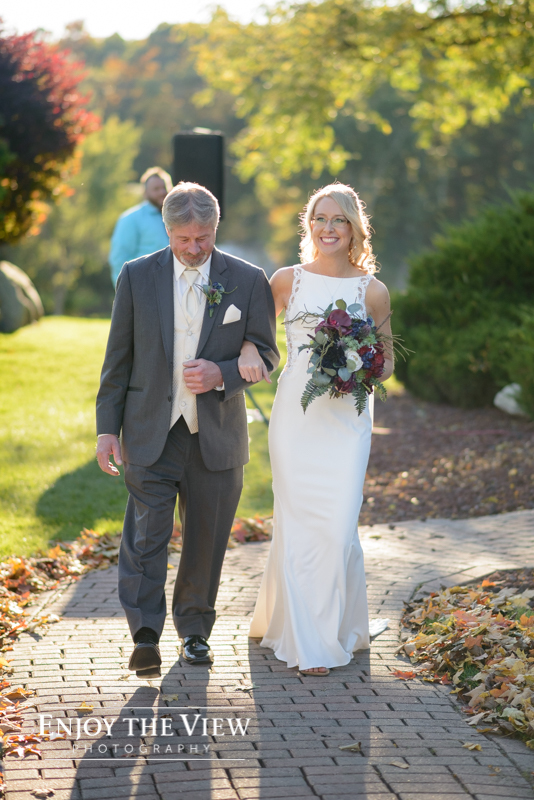 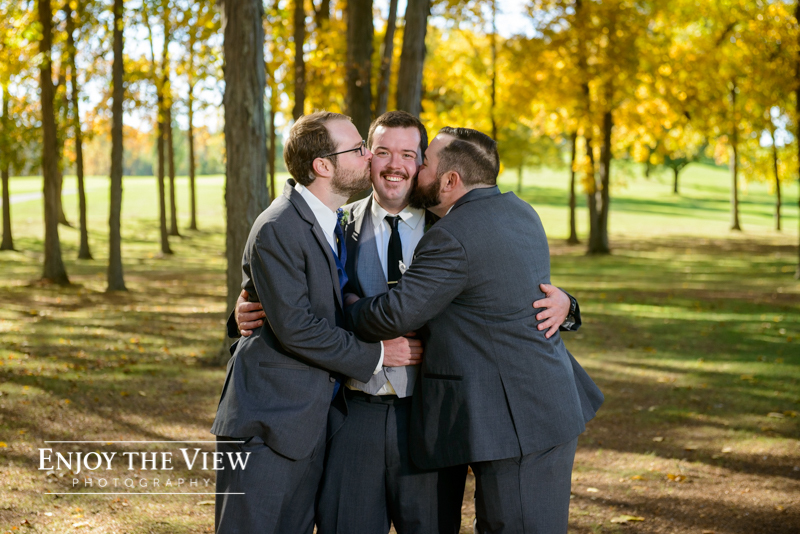 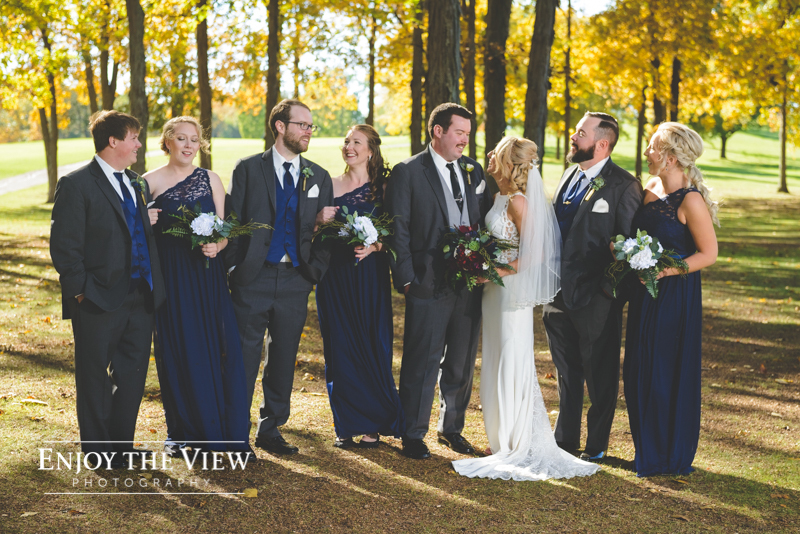 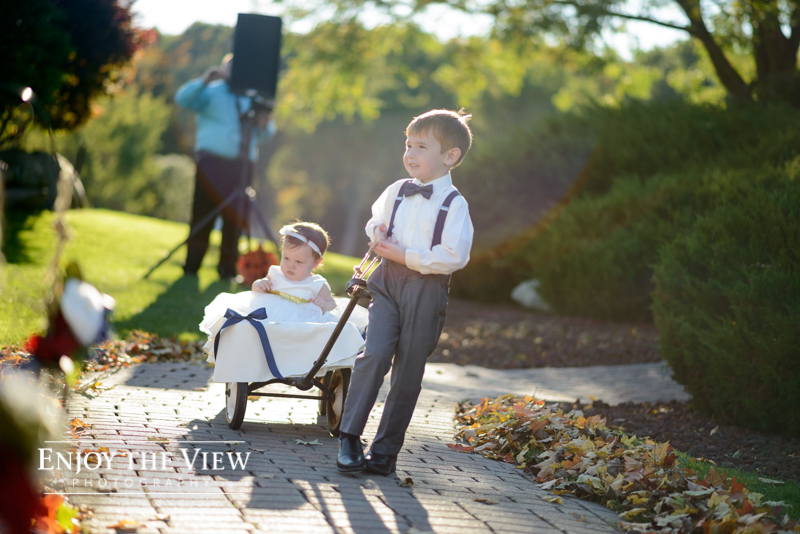 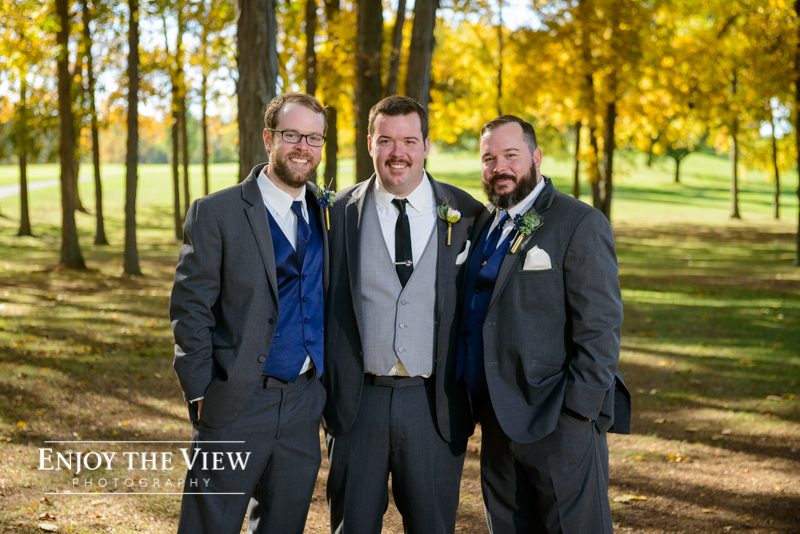 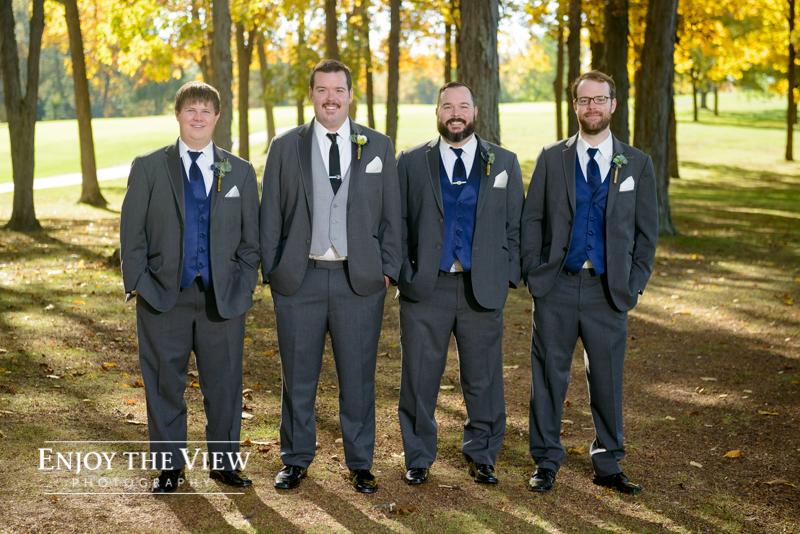 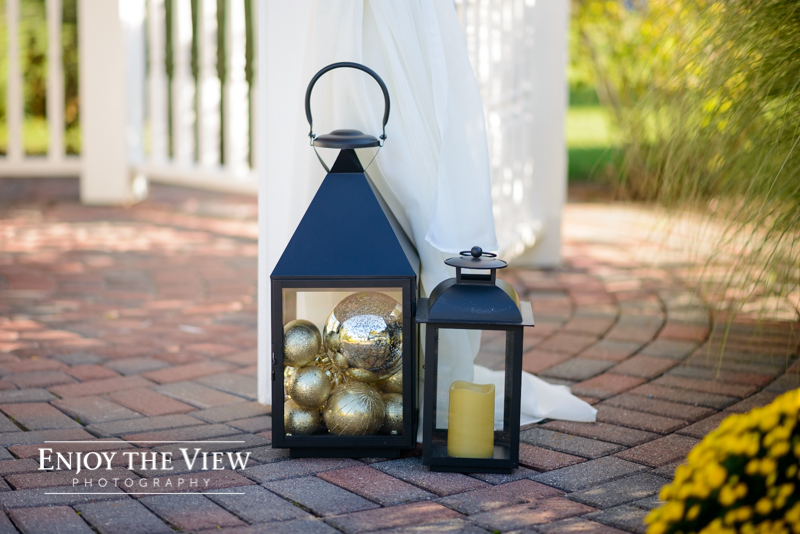 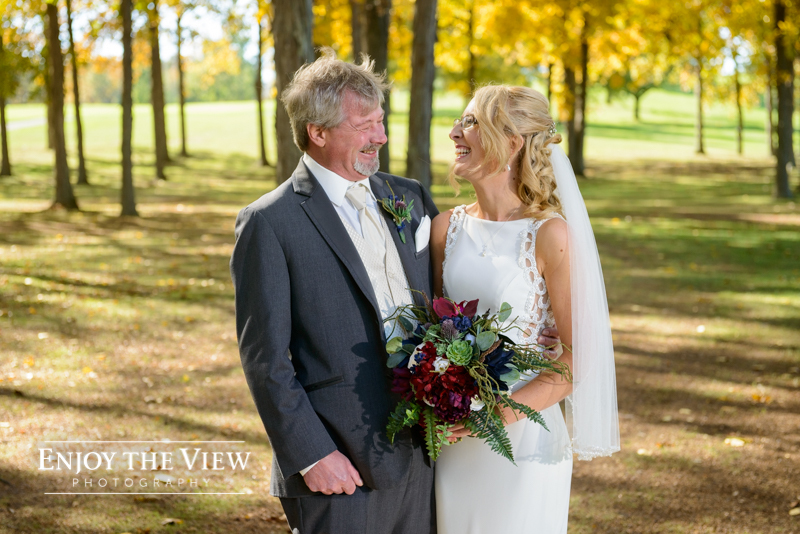 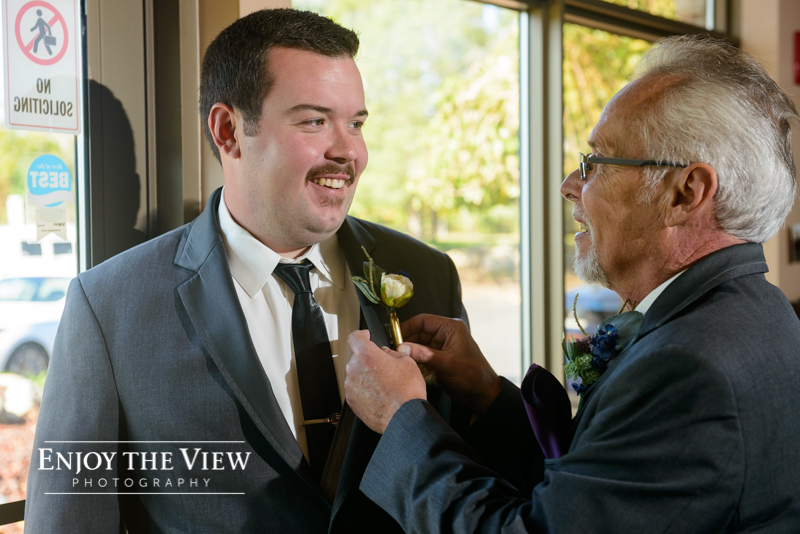 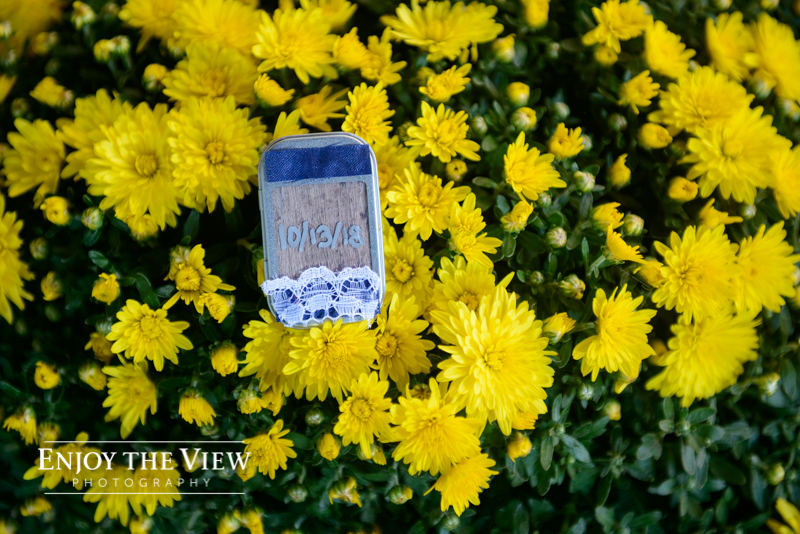 Danielle and Cal had a beautiful wedding and reception on a sunny fall day in October and I really enjoyed capturing it! 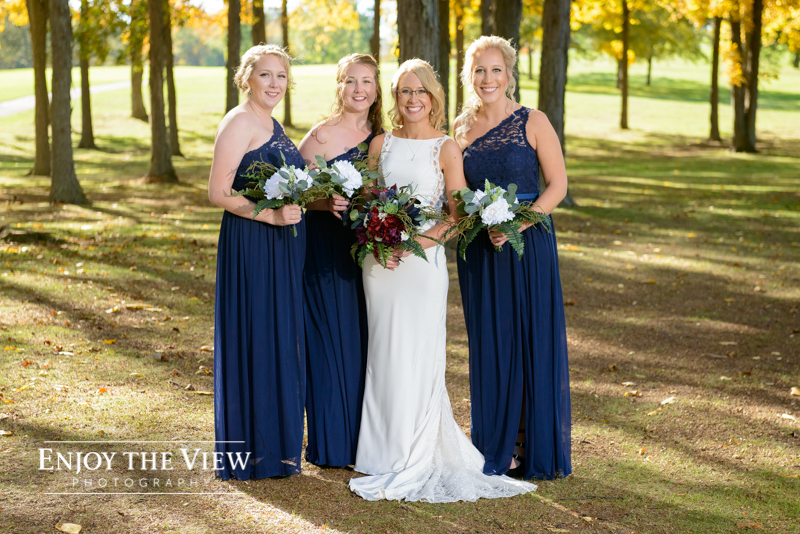 Danielle was a great bride to work with from the time she booked us all the way up to her wedding day. 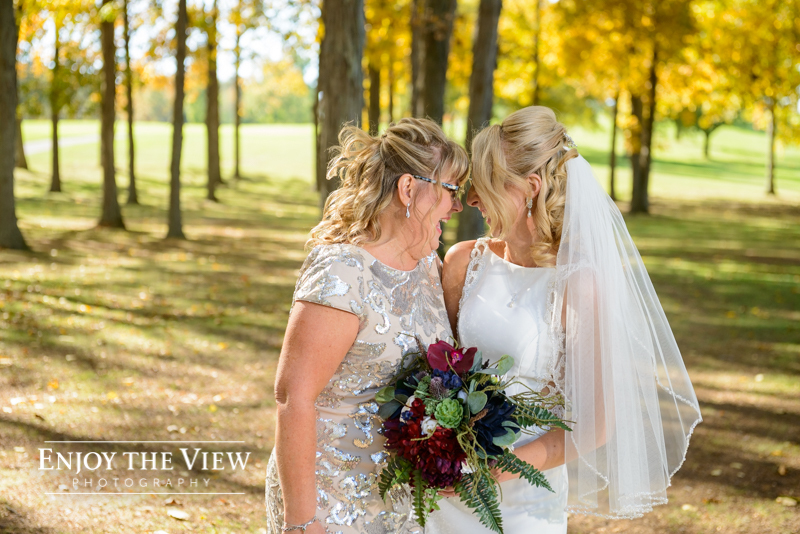 She even sent me a congratulations email when I got married last year (one year before her wedding weekend actually!). 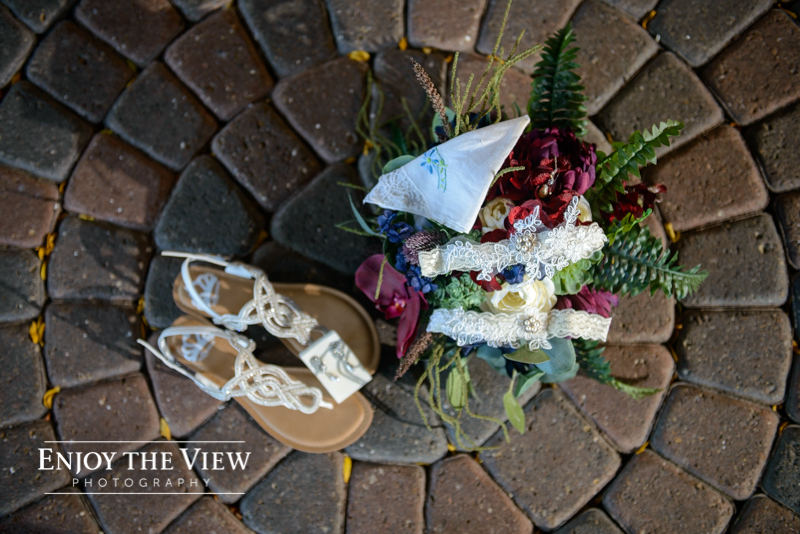 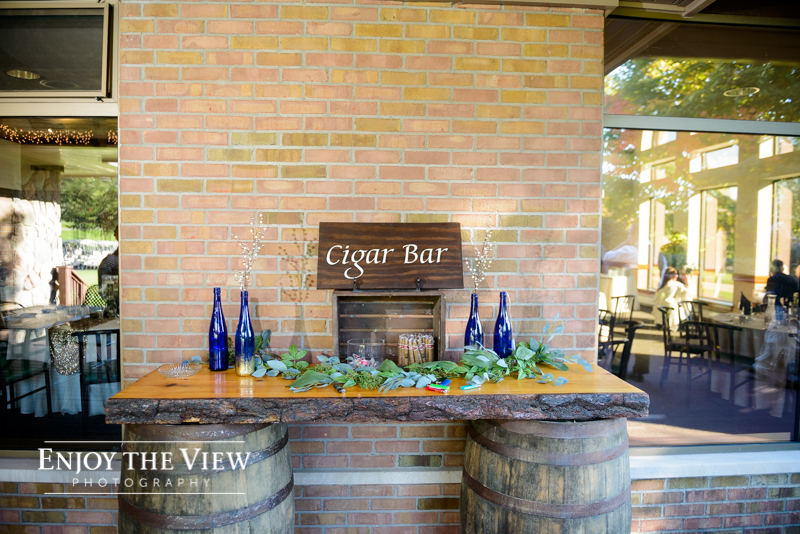 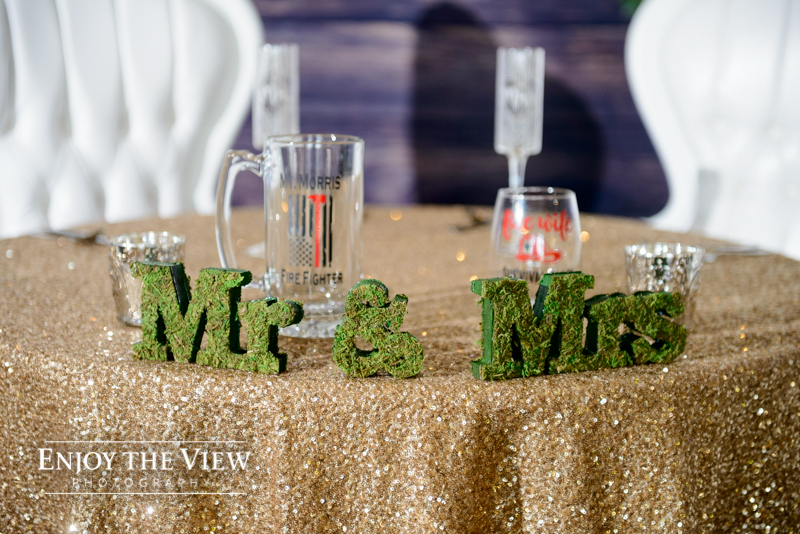 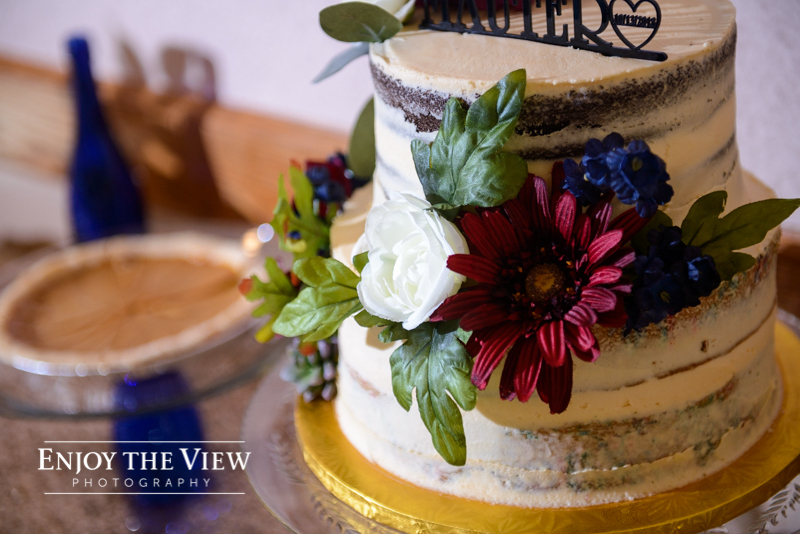 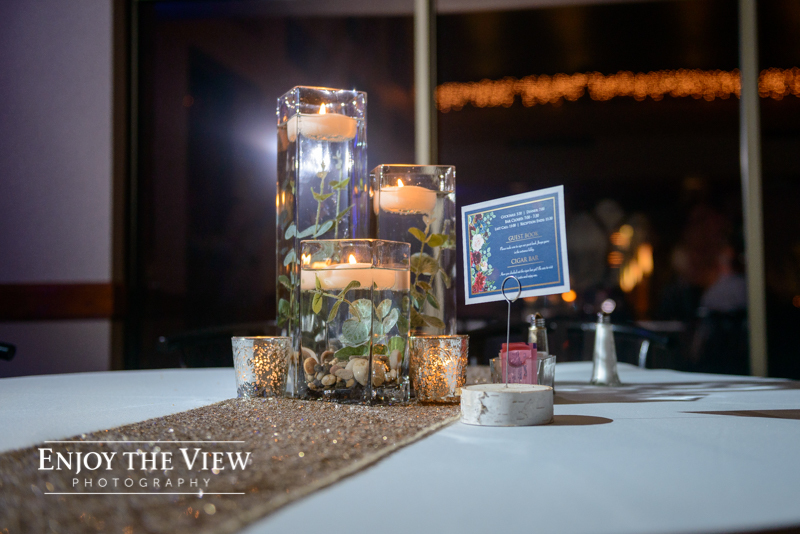 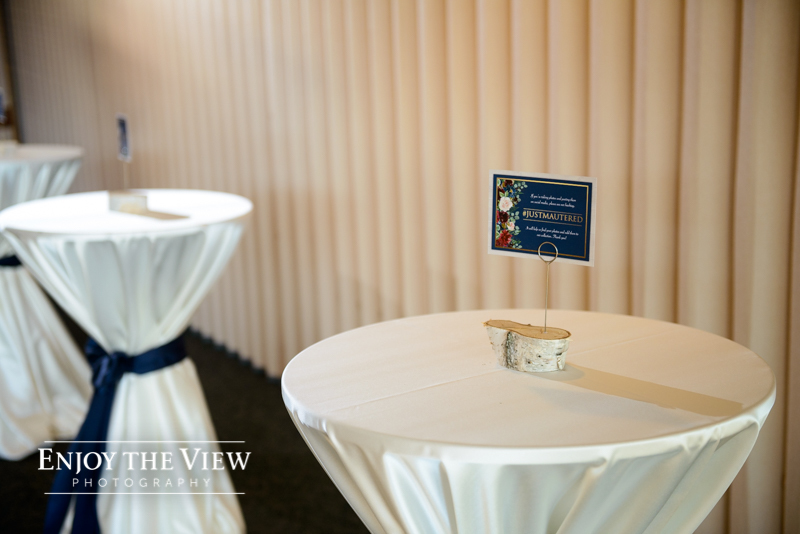 Danielle is super creative and crafty, so her wedding had so many beautiful decorations and heartfelt touches. 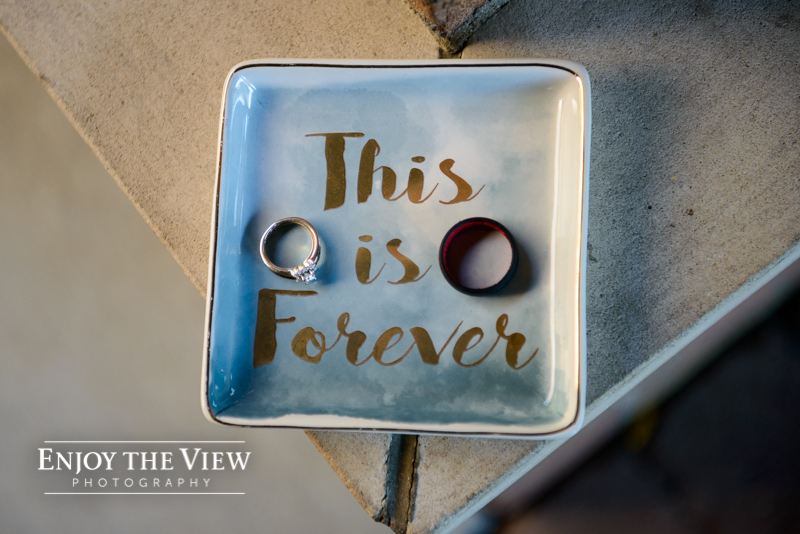 Cal is a firefighter (who proposed to Danielle after driving a fire truck up to their house! 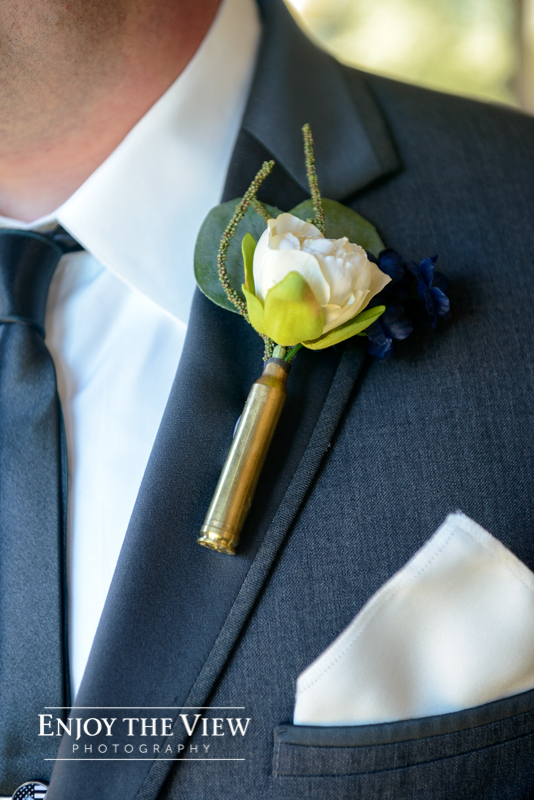 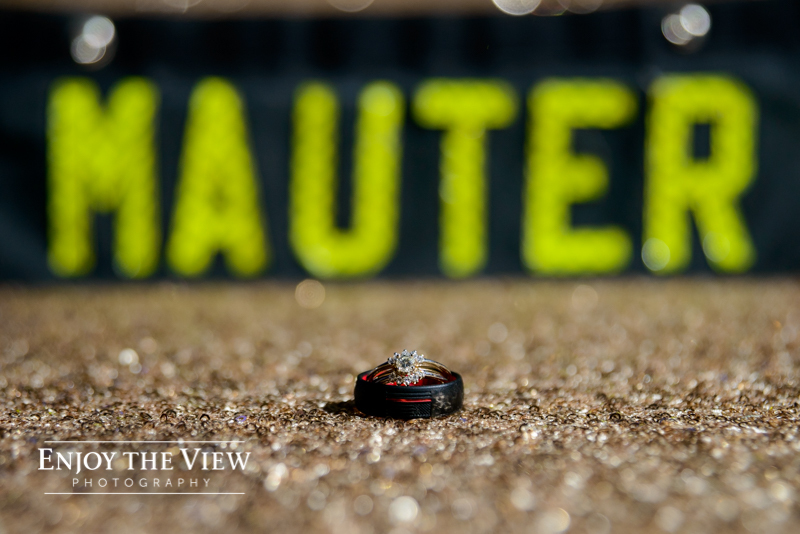 ), so there was some firefighter memorabilia incorporated into their wedding, including his name tag. 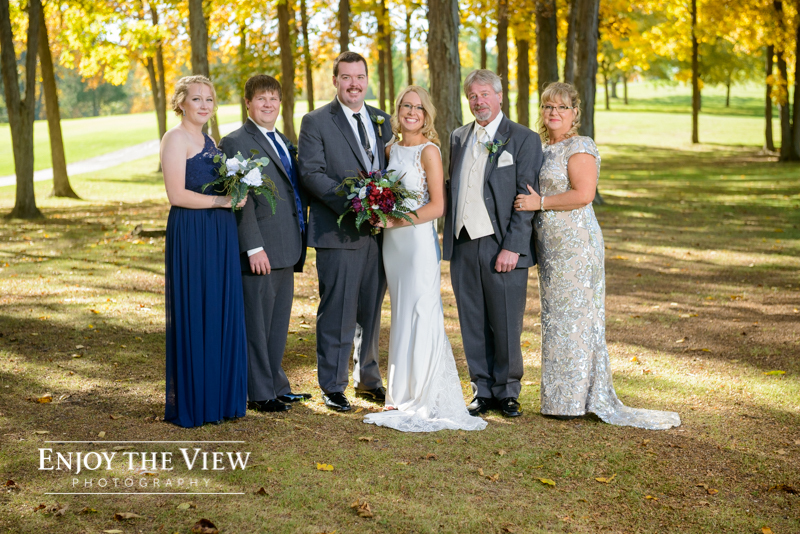 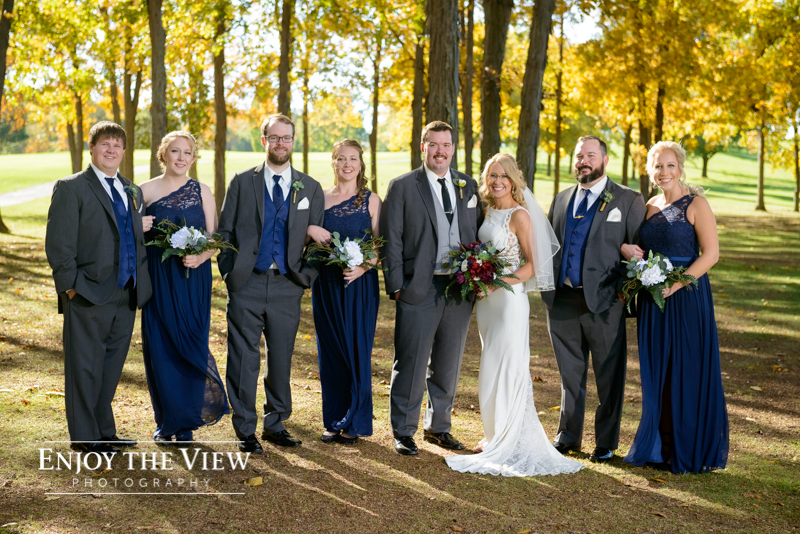 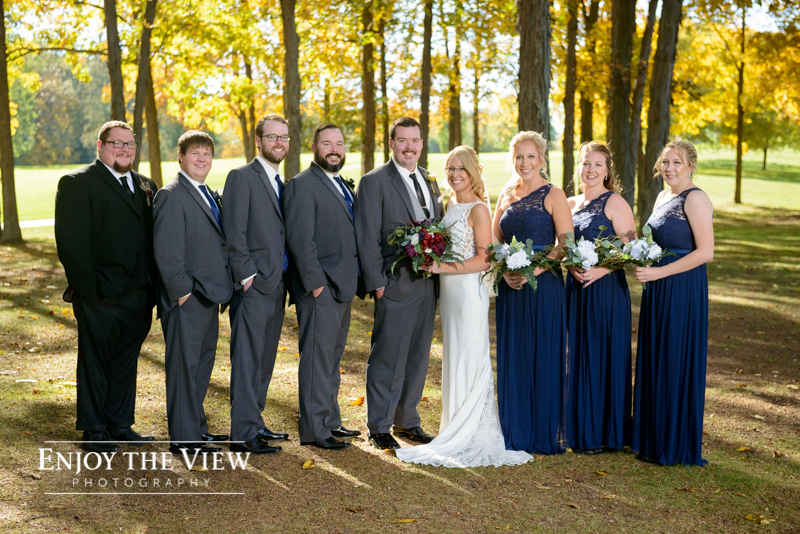 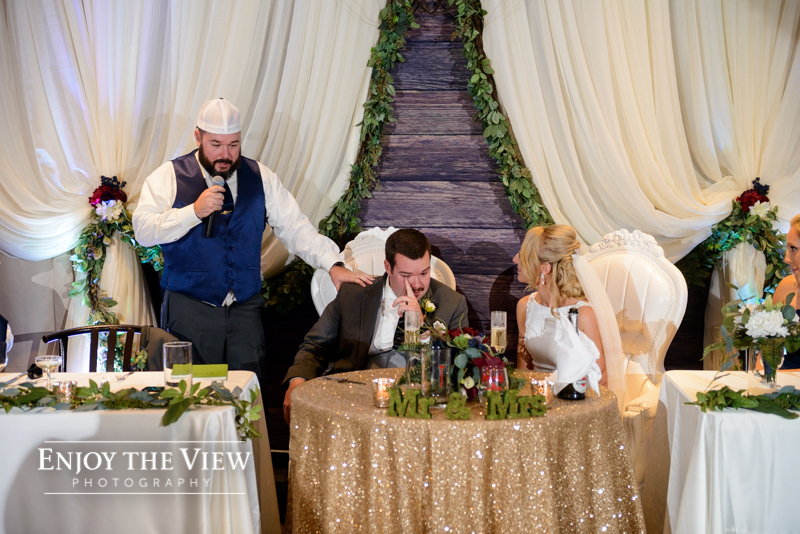 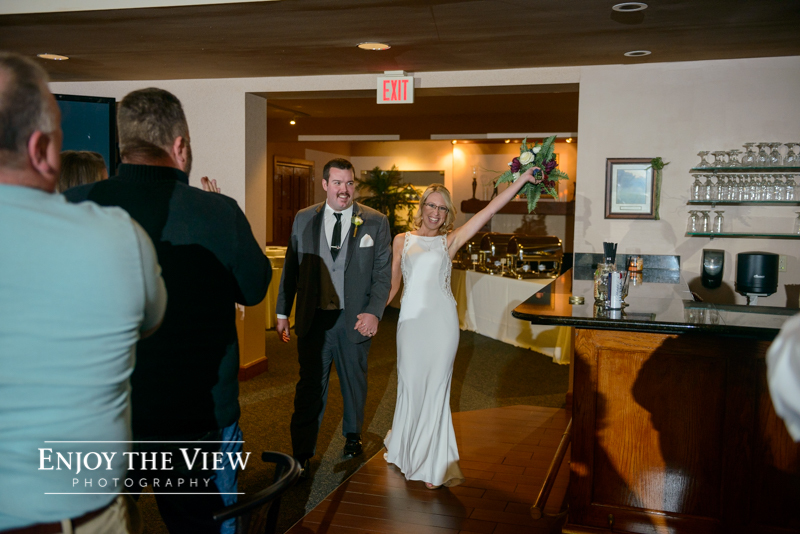 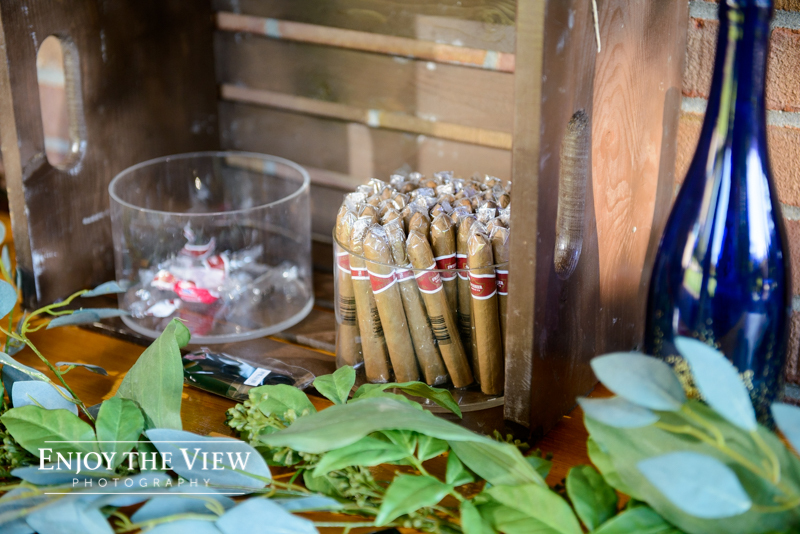 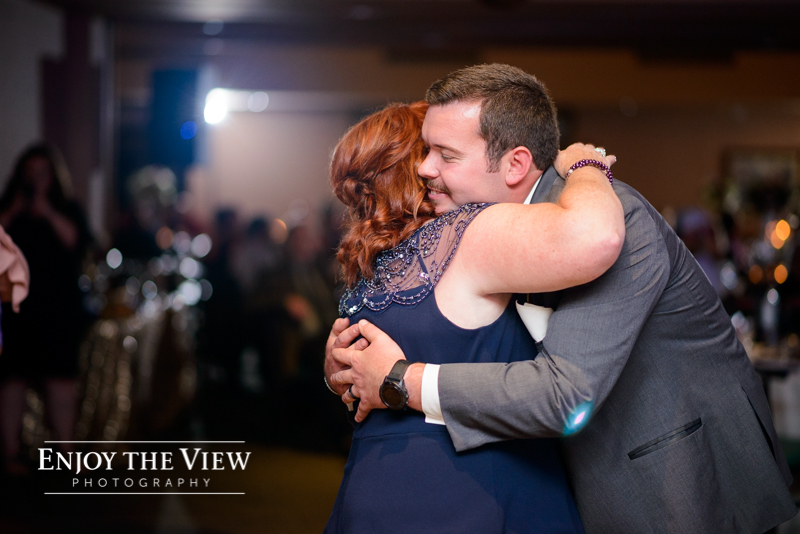 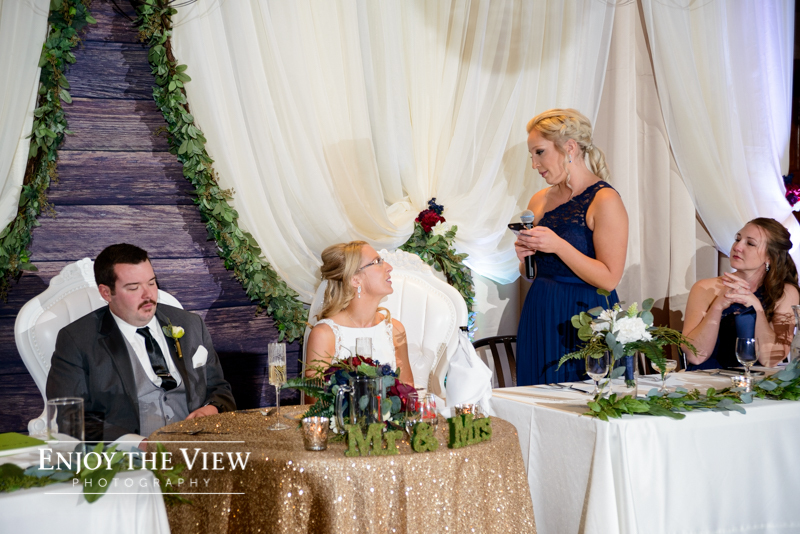 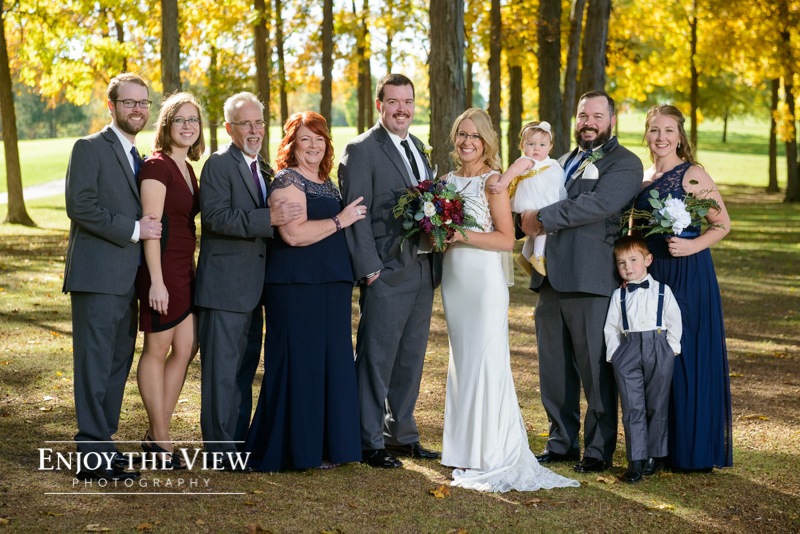 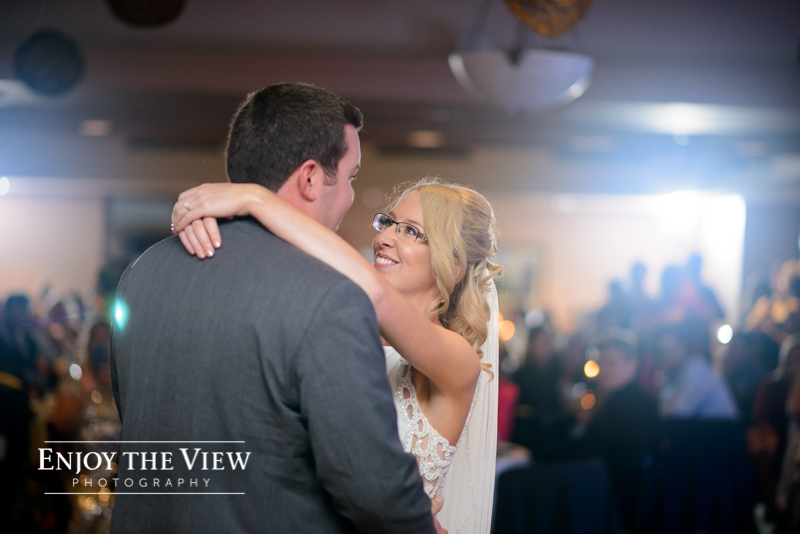 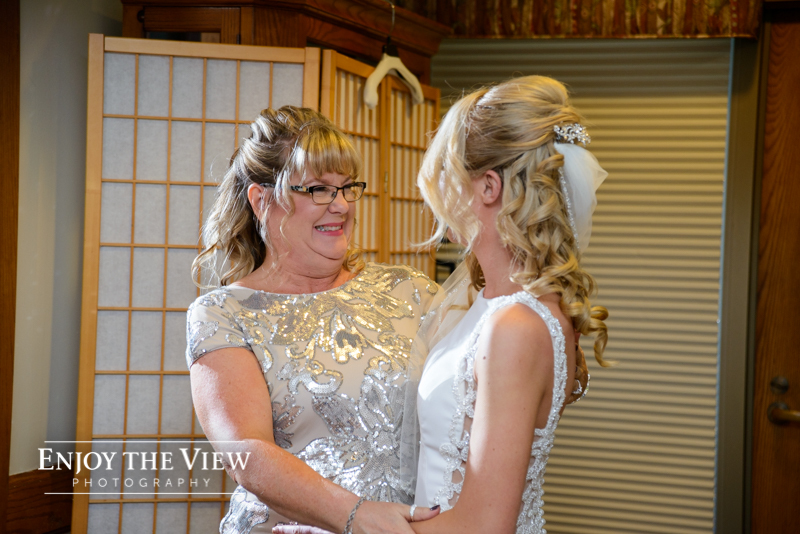 Danielle and Cal chose to do a first look and had absolutely perfect lighting for their family and wedding party portraits before the ceremony. 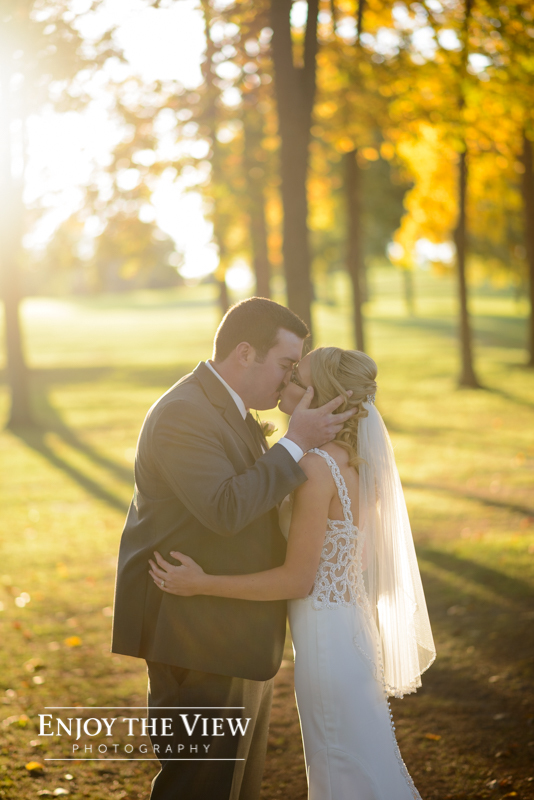 It was beautiful afternoon light that filtered through the trees in an area of the Lapeer Country Club called “The Oaks” (my favorite area of the venue for sure). 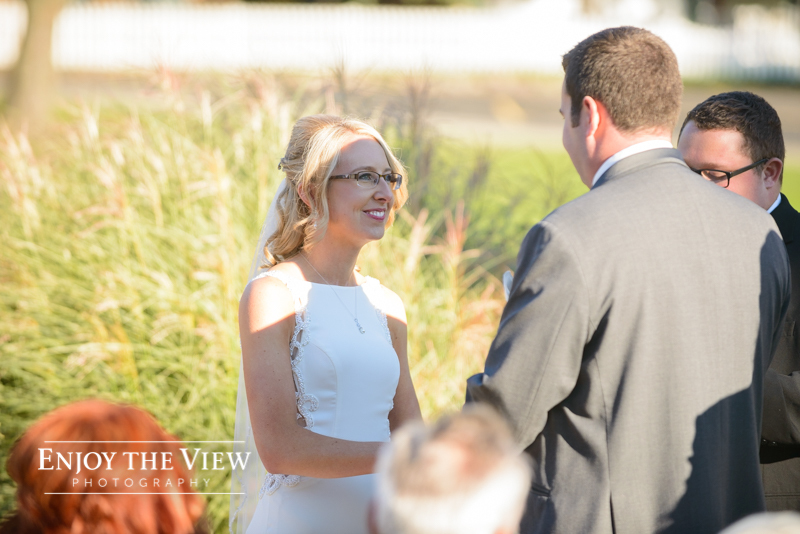 The ceremony was outside and performed by an old friend of the bride and groom. 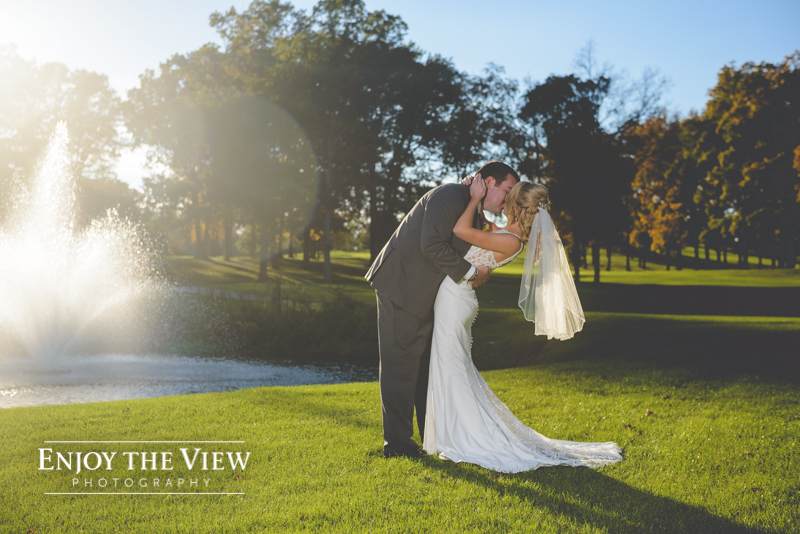 After the couple signed their marriage license, we headed out around the golf course for portraits of the two of them. 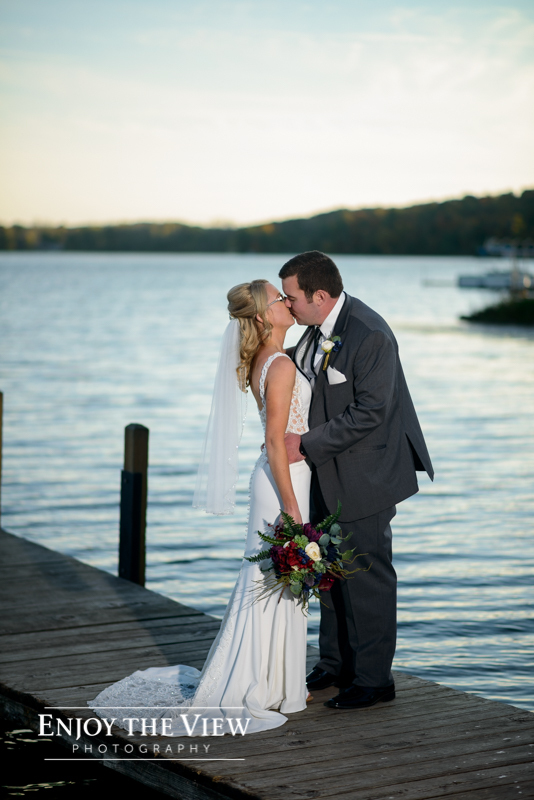 We even walked down to the boat launch, which is no small feat for a bride in a wedding dress and a groom in dress shoes! 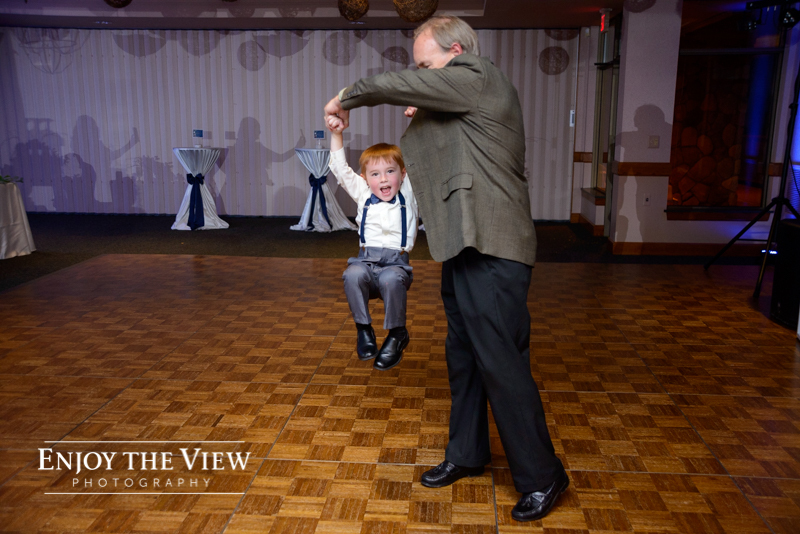 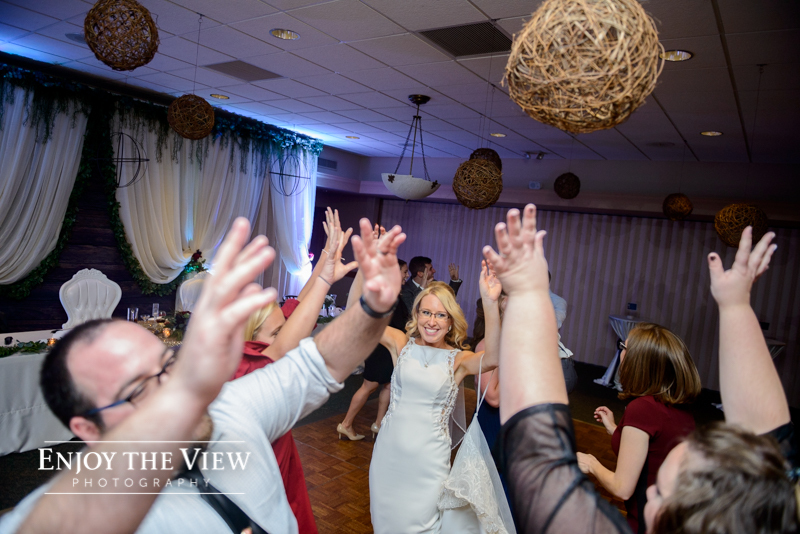 The reception was lots of fun, with a raffle, bouquet toss and garter removal/toss. 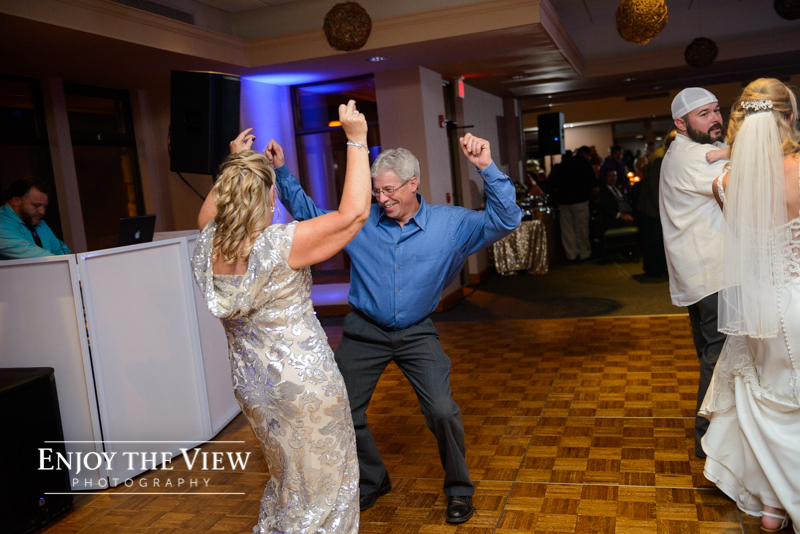 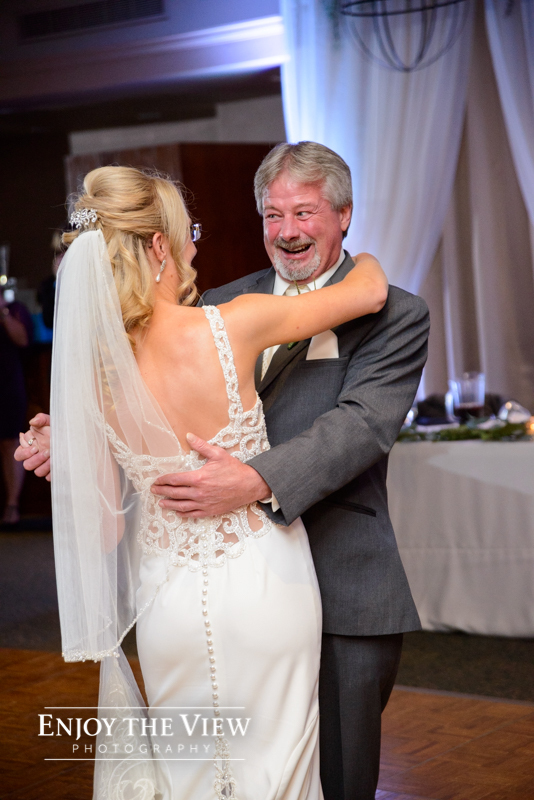 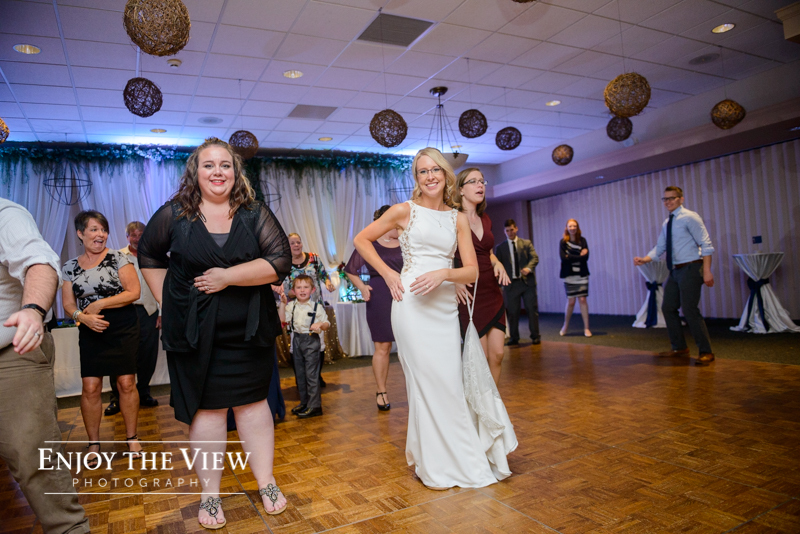 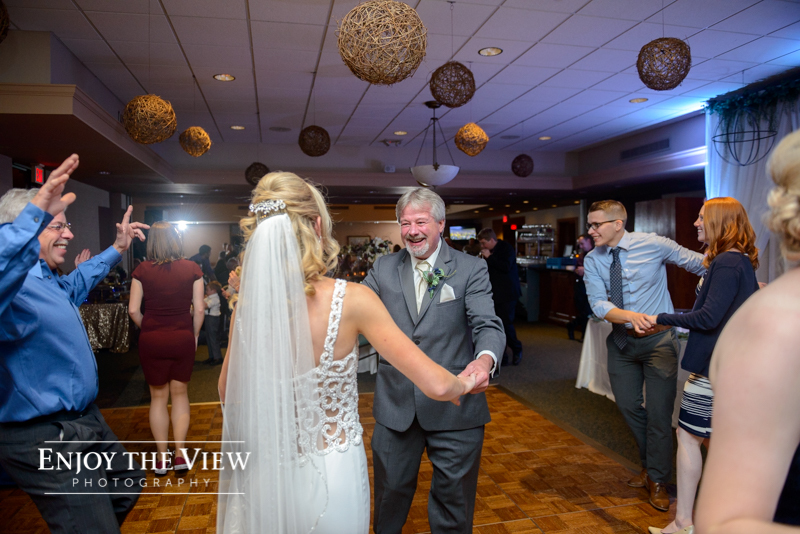 I really enjoyed photographing Danielle and her father during their dance, which went from a slow song to a fast, upbeat number where they invited guests to join them on the dance floor.